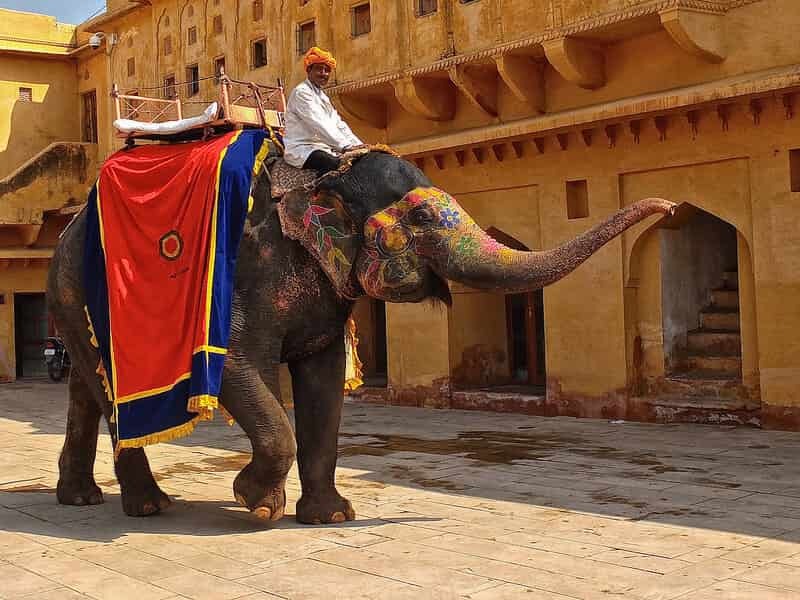 The Golden Triangle Rajasthan Tour covers three most popular tourist destinations of India: Delhi, Agra and Jaipur. The guests are provided with a slice of British, Rajputana and Mughal royalty on the same platter. Upon arrival in DELHI, our Asia Senses Travel tour guide will meet you at the airport and assist with a transfer to the hotel for check in. Depend on your actual arrival time, some soft sightseeing for an orientation tour is suggested. 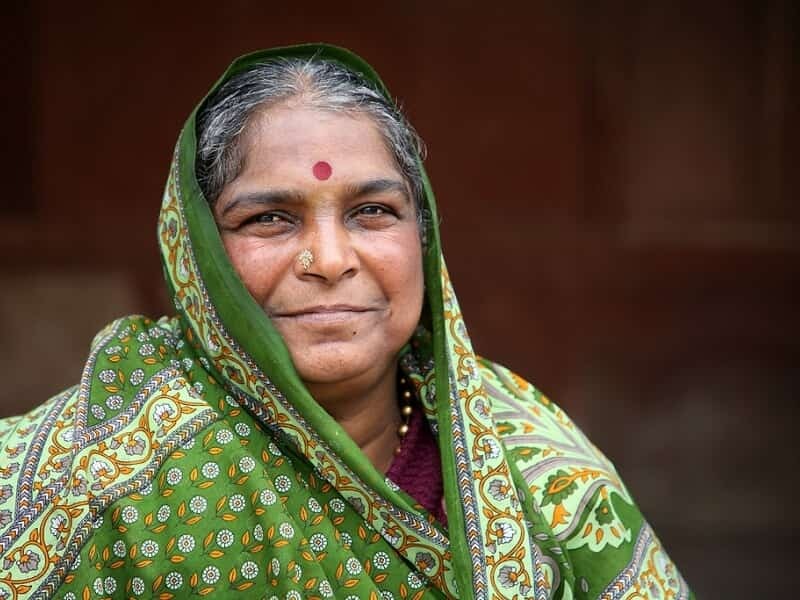 After a refreshing night’s sleep, proceed for a guided tour of Old and New Delhi. 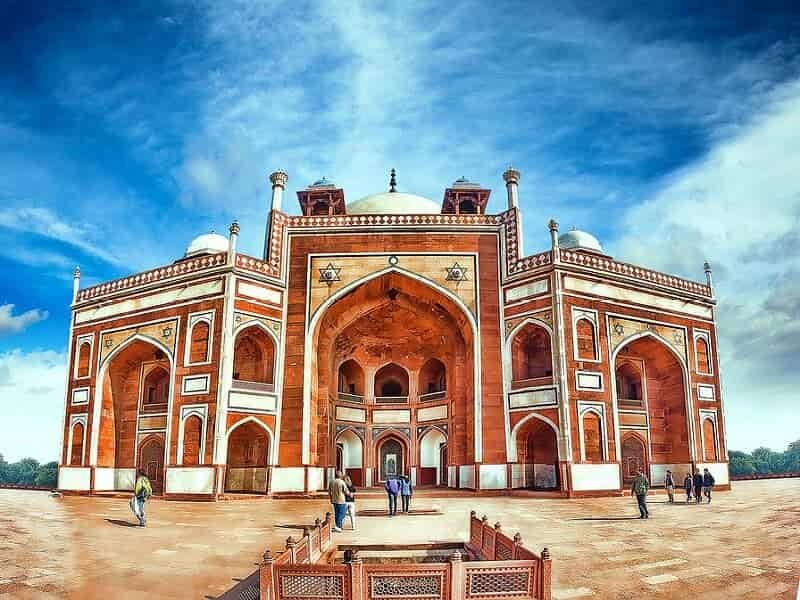 Our tour will cover Delhi’s all major tourist attractions like Jama Masjid, Humayun's Tomb and Qutab Minar. 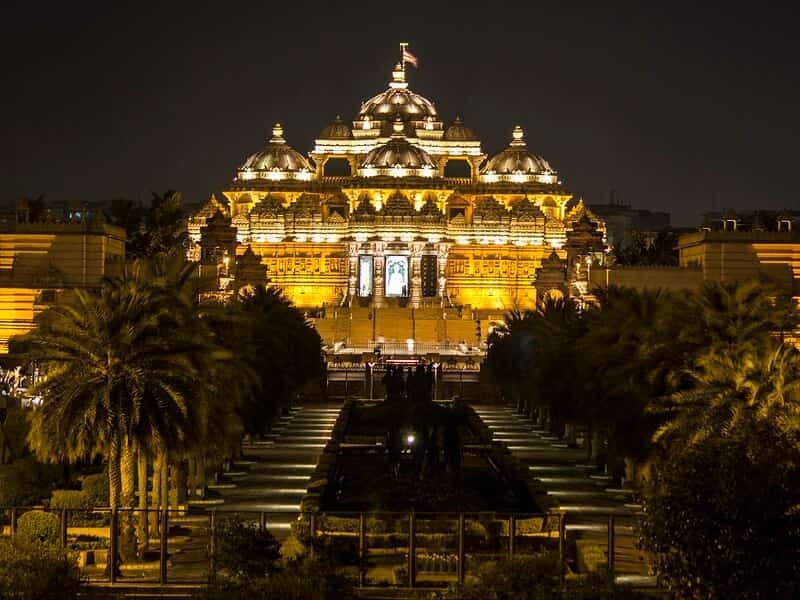 We also visit Akshardham Temple, a landmark in Delhi and is a hot spot amongst domestic and international tourists. It’s more than a Hindu temple - it tells all about the architecture, design and values of Indian System. After that, we take a visit to the buzzing markets of Chandni Chowk and Janpath, two of the oldest and busiest markets located in Old Delhi. Then visit the National Museum, also known as the National Museum of India, which is one of the largest museums in India. Next, drive past Rashtrapati Bhavan, India Gate, the 160-feet sandstone gate memorial of Indian soldiers who sacrificed their lives during the First World War and parts of central Delhi. 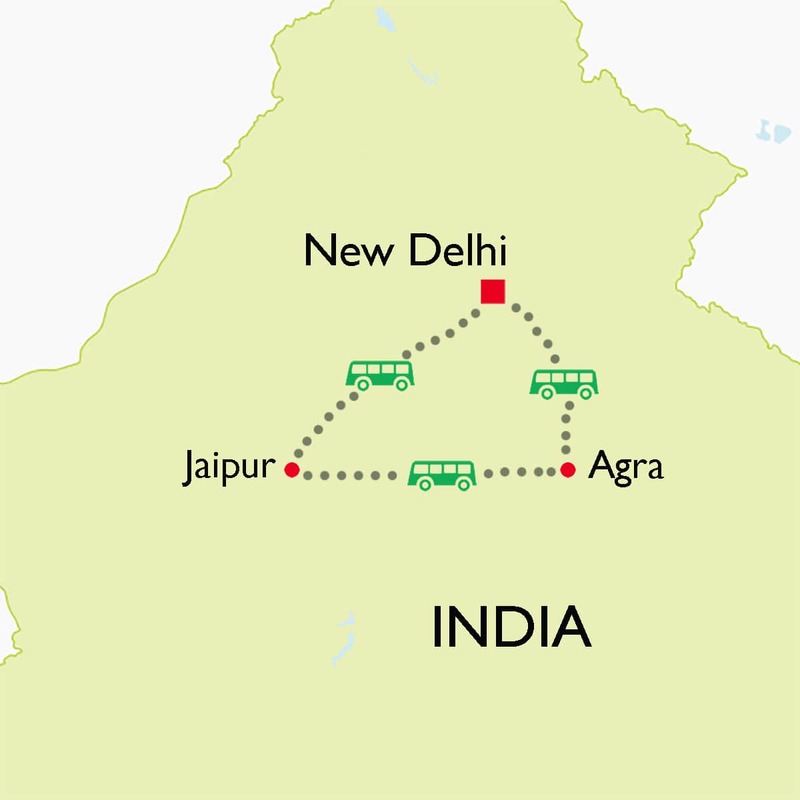 Today, we will drive to JAIPUR (pink city), one of major sightseeing destinations in Rajasthan, India. Jaipur is considered belonging to the tourist Golden Triangle including Delhi, Jaipur and Agra. Upon arrival Jaipur, check in to your hotel. The rest of day is free at leisure. OPTIONAL: In the evening, visit Fort Amer to watch a stunning spectacle mixing music, sound, light and folklore narratives to paint the unique story of the 600-year-old royal fort. After the show, enjoy a delectable dinner at a popular restaurant in Jaipur that serves traditional Indian, Chinese and local Rajasthani cuisines. After breakfast at the hotel, we drive to visit the 16th century Fort of Amer, one of the most import fortifications in Rajasthan. This fort was built by Maharaja Man Singh and encloses palaces and a temple in marble dedicated to the goddess Kali. Nearby, we make a stop to view the Jal Mahal Water Palace. The palace was constructed as a duck hunting lodge by the Maharaja in the 18th century and is located in the middle of the Man Sagar Lake. Upon arrival back to the city, we have a short break for lunch, before continuing for a sightseeing tour of the “Pink City” which covers Jaipur’s all major tourist attractions like Hawa Mahal (Palace of Winds), Sheesh Mahal and City Palace, built by Kachchwah Rajput rulers of Jaipur, which is a classic example of the fusion of Mughal and Rajput architecture. After wards, explore medieval backstreets and bazaars for the best deals in leatherwork, woodblock prints, handicrafts, perfumes, jewelry and Jaipur’s traditional blue pottery. Towards the end of the day, spend time watching the sunset over Jaipur from the Sun Temple (Surya Mandir). From here, you can enjoy beautiful, panoramic views of Jaipur. On clear days, the city is bathed in golden by the setting sun. OPTIONAL: In the evening, you can visit to Chokhi Dhani, an ethnic village resort which offers a glimpse into the root of Rajasthani folk culture. 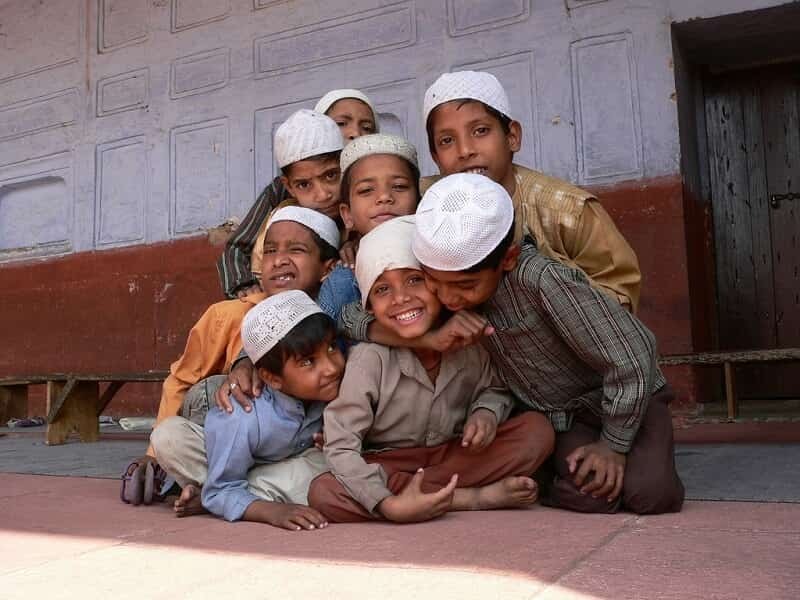 Here, you will watch children, turbaned men and women clad in bright clothes entertain you with music performances, puppet shows and folk dances. 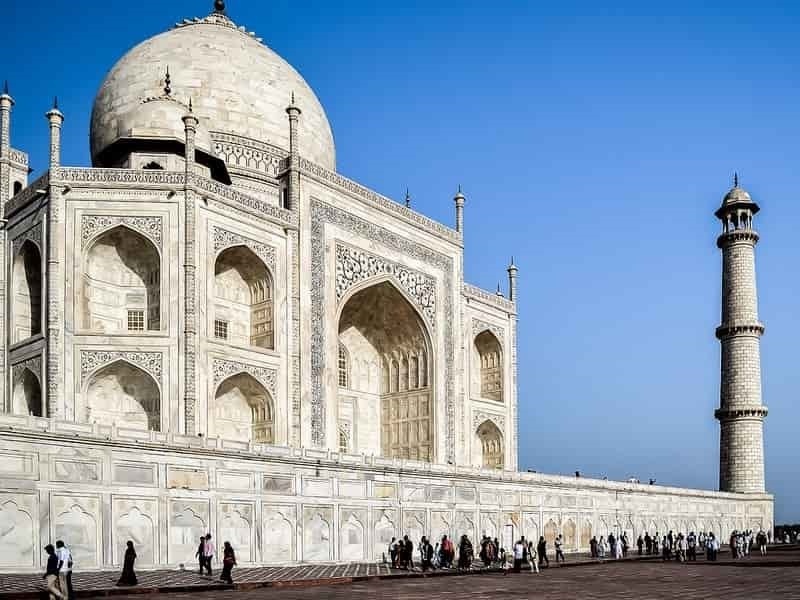 This morning, our guide and driver will transfer you to AGRA which is home to three designated World Heritage Sites: the iconic Taj Mahal, the ghost city of Fatehpur Sikri and the red-sandstone Agra Fort. En-route visiting Fatehpur Sikri (old deserted city of Mughal Dynasty). 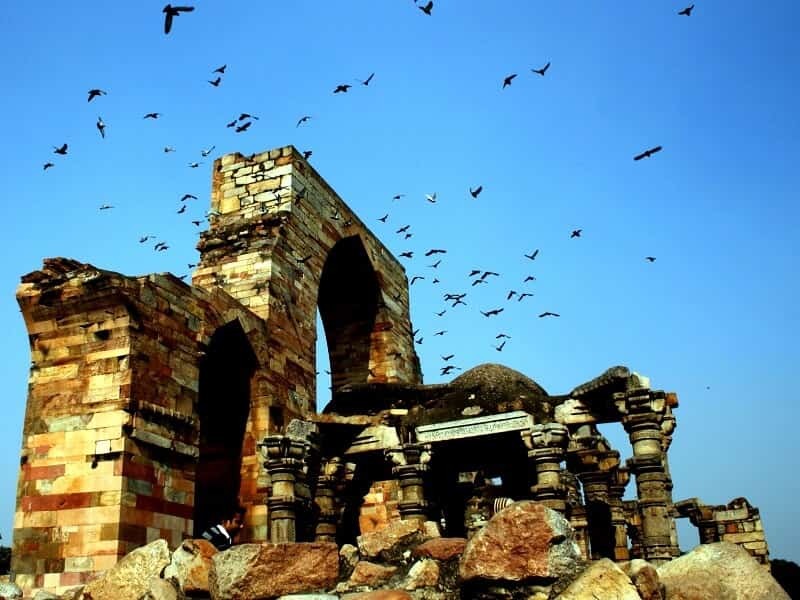 Here, we will visit Jama Masjid, a 17th-century mosque which is recognized as World Heritage Site. 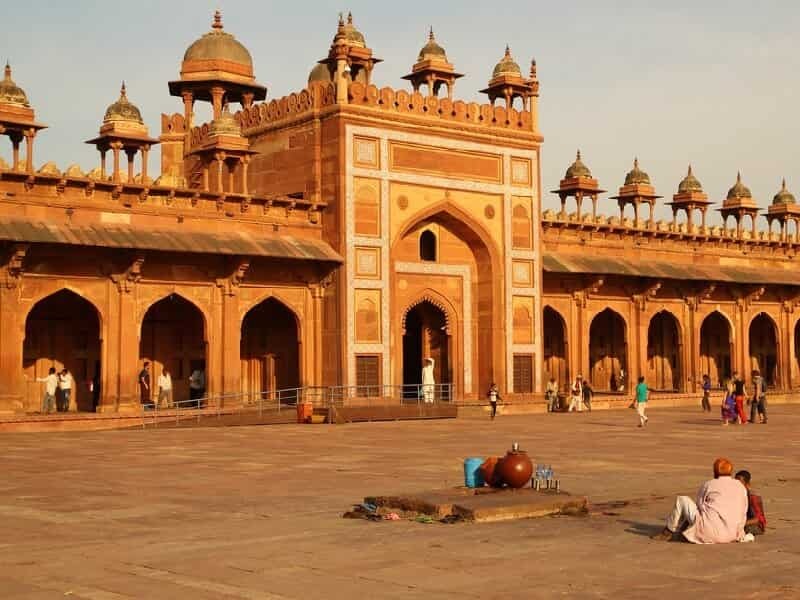 We also visit other Fatehpur Sikri’s tourist attractions such as Buland Darwaza (Gate of Victory), Birbal's Palace and palace of Queen Jodha Bai. Resume the drive and arrive Agra in the evening. Check in to your hotel and take a short break. The highlight of the day is the sunset boat, which offers you the unforgettable chance to take a glimpse of Taj Mahal from Yamuna river side. Spend the evening at leisure or explore the city on your own. Wake up early this morning, then visit the breathtaking Taj Mahal that rises on the bank of the Yamuna River as poetry in architecture. Spend some time wandering around the courtyard, taking in the architecture, history, and refined beauty of this world-famous mausoleum. Later we will visit the red-sandstone Agra Fort and other attractions which are located nearby. 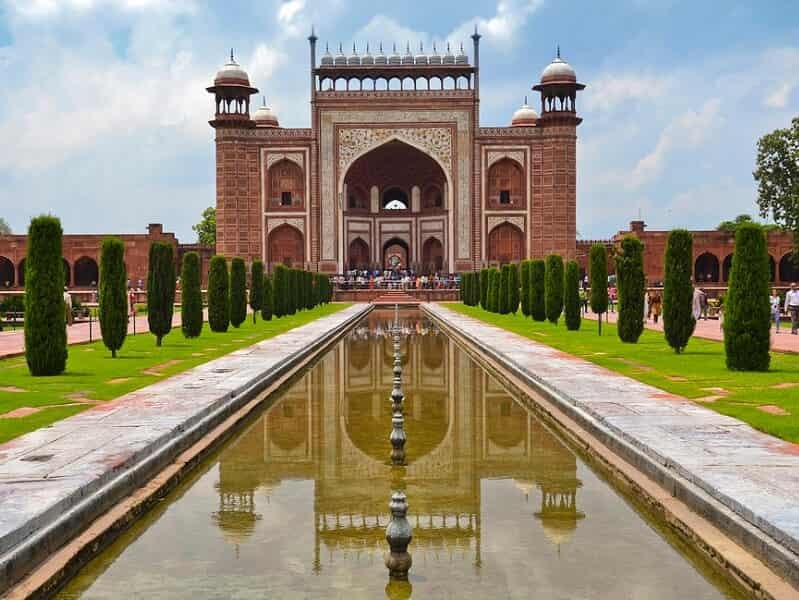 We also take a look at Itimad ud Daulah Tomb, a pre-Taj era marble structure, often referred to as the “Baby Taj Mahal” as its garden layout and use of white marble, inlay designs and latticework presage many elements of the Taj Mahal. In the afternoon, our guide and driver will transfer you back to DELHI and then directly proceed to the airport for your onward flight.